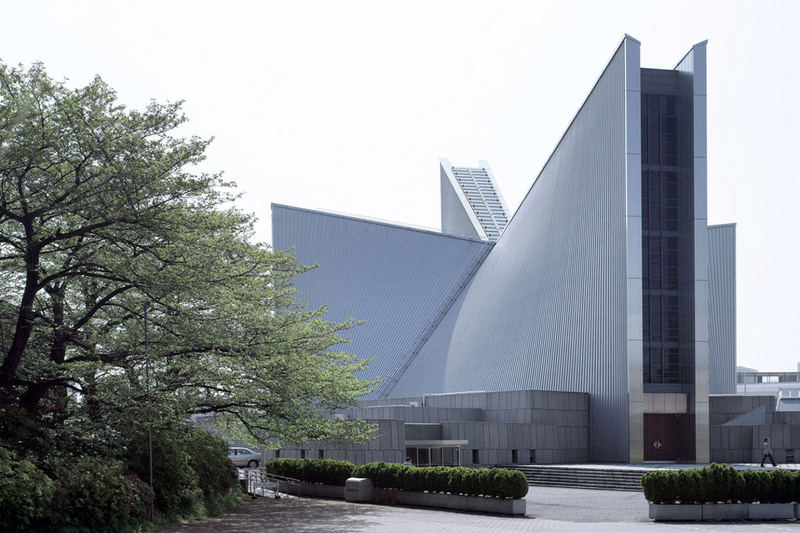 The St. Mary’s Cathedral was built in 1964 and designed by Kenzo Tange to replace the old wooden cathedral, in gothic style, burnt during wartime. 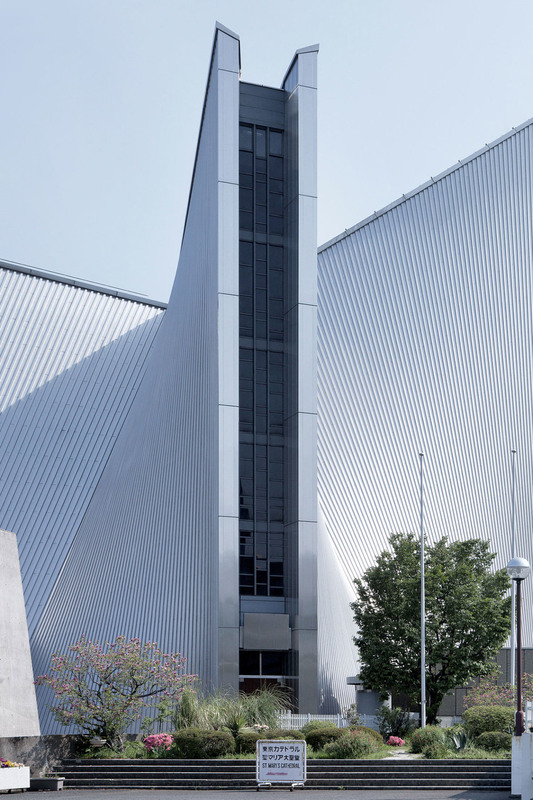 Tange’s project is both Modernist and Metabolist, abstract and symbolic, bright (polished exterior) and dark (rough interior). 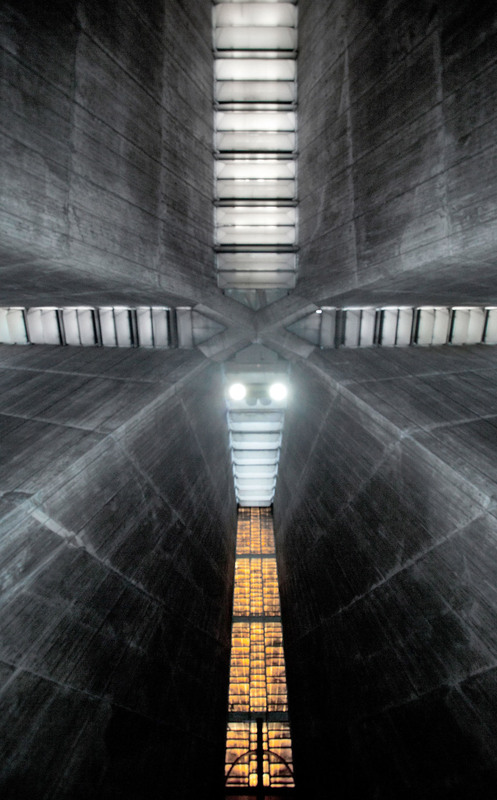 After experiencing their grandeur, trying to reach the sky, and their ineffably mystical spaces, I began to imagine new spaces, and I wanted to create them using modern technology. 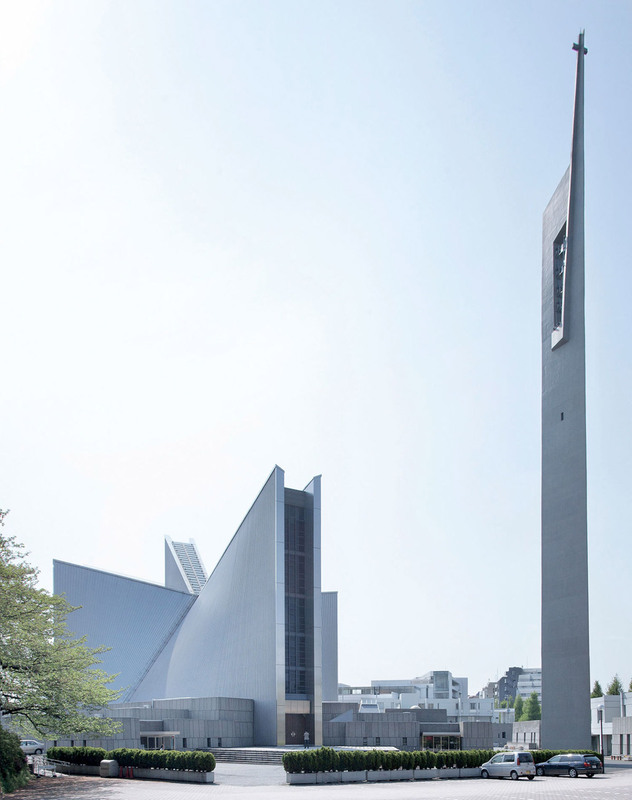 The Tokyo Cathedral was completed in 1964, replacing the old wooden cathedral burnt during wartime. 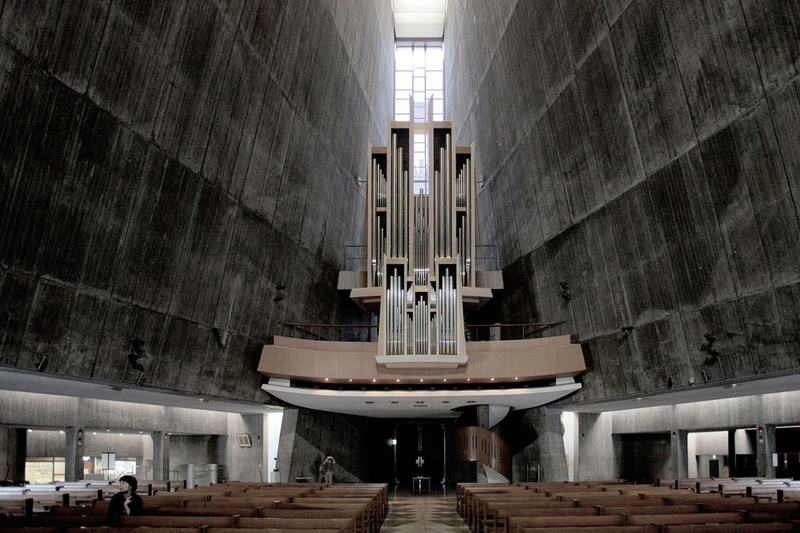 Tange conceived the new church as a concrete structure, simple in concept and complex in shape, which recalls the lightness of a bird and its wings. 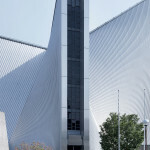 The layout of the building is in the form of a cross, from which eight hyperbolic parabolas rise in a manner similar to a contemporary landmark cathedral located in San Francisco, also referred to as St. Mary’s Cathedral. 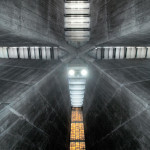 The eight walls are at the same time roof and walls, enclosing the space and opening to the outside through vertical gaps. 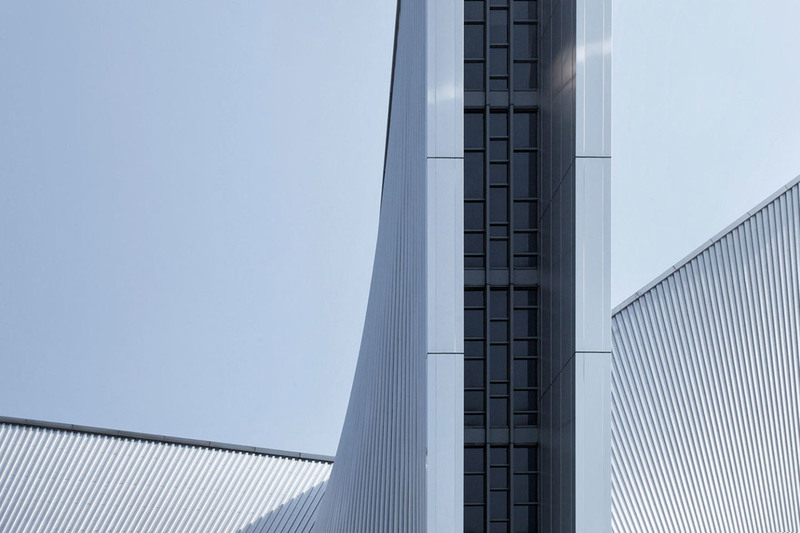 The walls are curved hyperbolically to express the tension to the sky, and turning the rhomboidal ground floor into a cross at the roof top. 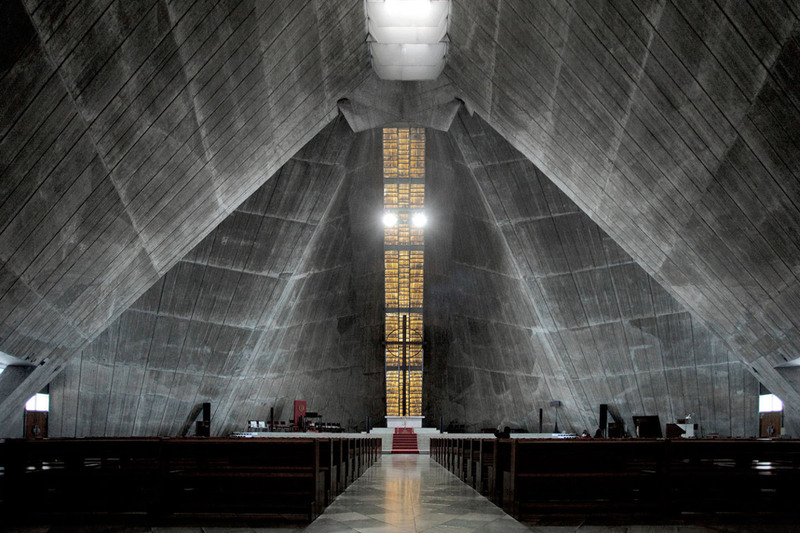 The parabolas open upwards to form a cross of light, which continues vertically along the length of the four facades. 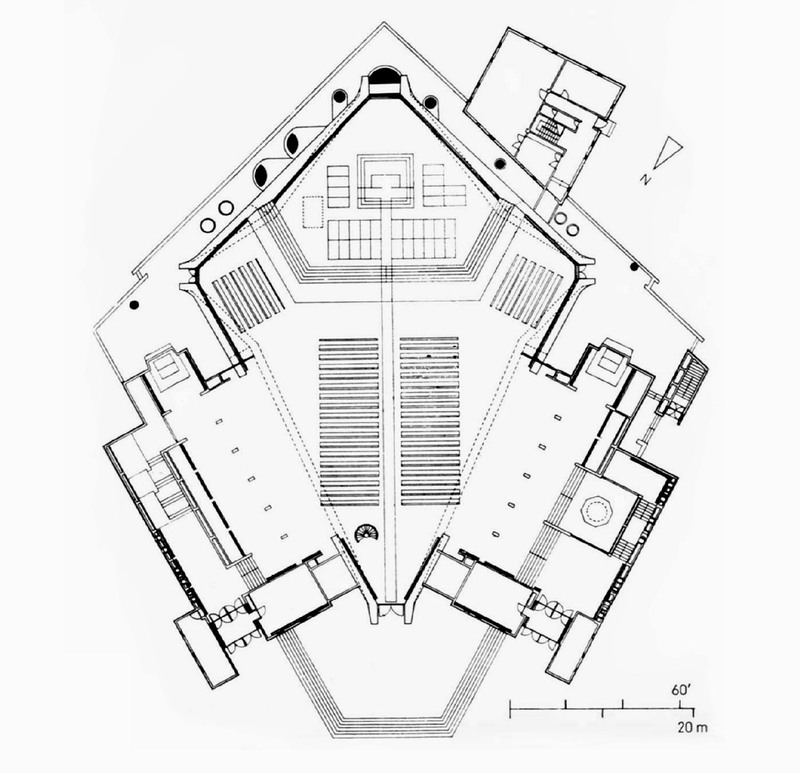 To this rhomboid volume other secondary constructions are added, including the baptistry and the baptismal font. 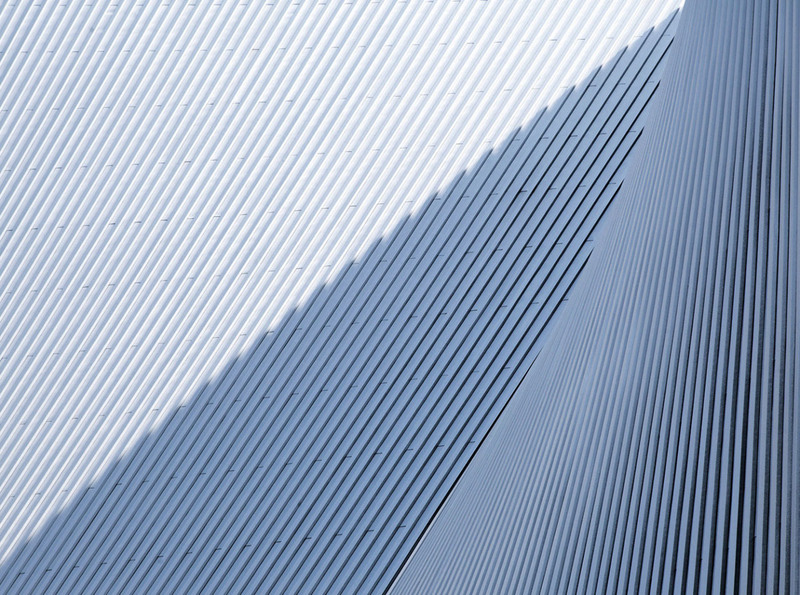 The reflection of the sunlight on the stainless steel external cladding looks as a shining dress on the hard concrete slabs. 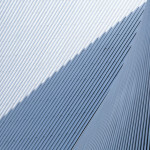 Although it is a monochromatic cladding, the curves and the U-shaped profiles enhance the dynamicity of the structure. 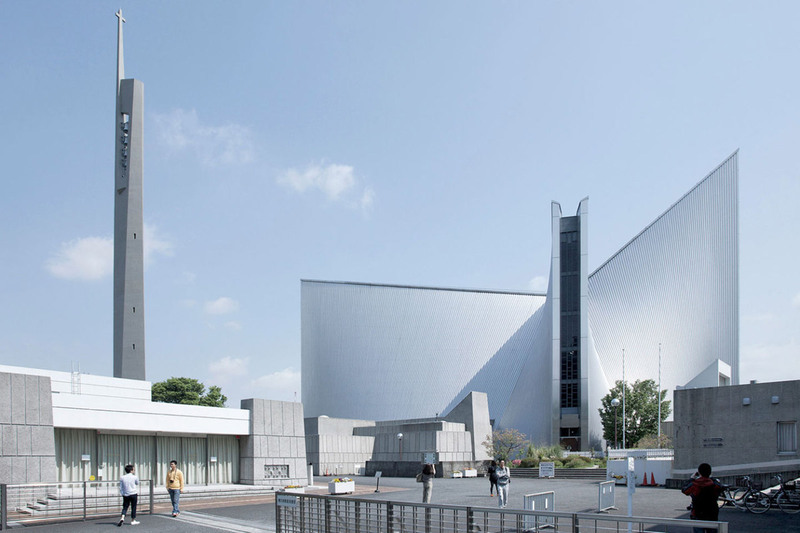 It all makes the church an iconic building in the dense urban context of Tokyo. 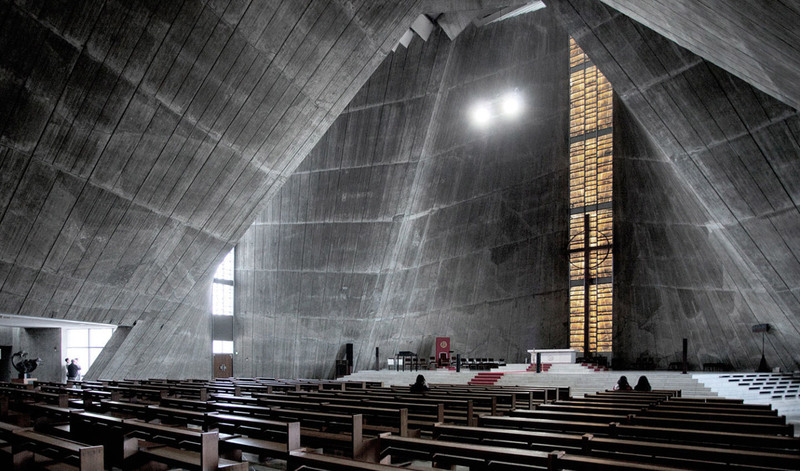 Cite this article: "St. Mary’s Cathedral in Tokyo / Kenzo Tange," in ArchEyes, March 5, 2016, http://archeyes.com/st-marys-cathedral-in-tokyo-kenzo-tange/. 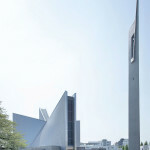 wonderful building – nice images!